Middle East nations are witnessing significant economic and technological transformation due to growing business opportunities in large industries such as banking, financial services, insurance (BFSI) in the region. With the rapid economic growth and increasing threat of cybercrimes, many organizations in the Middle East countries are beginning to recognize the need for an efficient cyber security system. As we are aware new digital initiatives brings new cyber challenges. Hence the Sultanate of Oman while adopting to new elements, they will need to upgrade or implement their cyber defence mechanisms in parallel. The sultanate’s ongoing commitment to cyber defence offers myriad opportunities for local and foreign ICT service providers, with strong demand growth expected in both the public and private sector. 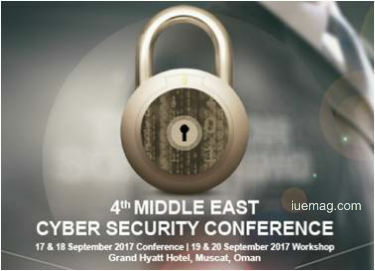 To induce effective cyber security practices in the region, Muscat Expo and Nispana ispleased to announce the 4th Annual Middle East Cyber Security Conference 2017 in Muscat, Oman to debate and discuss how best to protect businesses and organizations from the threat of cybercrime by establishing strong and intelligent cyber security on a local, national and international scale. Nispana Innovative Platforms Pvt. Ltd., a global provider of the finest business intelligence solutions today provides business leaders around the world with real time competitive B2B platforms. Working towards providing a multi-dimensional business catalyst, focusing on re-education, networking and most importantly deal making opportunities for all attendees is what we strive towards. We help Global Corporate Buyers, Governments, Industrial Experts and Solution Providers respond to the challenges at hand and opportunities created by worldwide business drivers. We catalyze the process of business We organize high profile B2B summits and meets to address some of the issues faced by businesses globally in order to ensure that every one of our clients get maximum Return on Investment. Nispana continues to cherish productive working partnerships with various government entities and organizations across Asia, Latin America, Middle East and Africa. We also work closely with key figures in the media who continue to add value to our network globally. The iUeMagazine team is delighted to work with Middle East Cyber Security as Online Media Partners & is expected to bring Unlimited Inspiration for all readers from there upcoming events. Staying tuned to the enriching updates from these events is recommended.